How many out there have the Big Happy Planner, raise your hands? How many of those who have the bigger planner are frustrated because there are very few layouts that are meant for your planner, raise your hands? Well, my friends, today is your day! I have a special gift for you. I have a layout just for your big, paper sized planner to make it all purdy. It’s three pages long because of the size of the boxes I had to put on there and to fit all the things I wanted for y’all. What do you think? I love the colors, but then I’m more attracted towards the purples, pinks and blues and tend to do more layouts with those colors. Now if that isn’t enough for you, I also have the DIY kit for you in a file waiting for you to download if you wanna make your own. Now you may be thinking, “this post said both sizes”. You are correct, I do have this same set of pretties for both sizes of the Happy Planners so all the Happy Planner owners can enjoy these planner goodies. I not only have a made up layout for the standard size Happy Planner that you can just download and print off, but I also have the DIY one just like with the Big Happy Planner where you can get all crafty like and make your own layout. It’s like Christmas, but in July! For future, I’ll be adding both sizes as I share them at Planner Squad so that no one gets left out! To get the all the files just click on the image below and have at it! 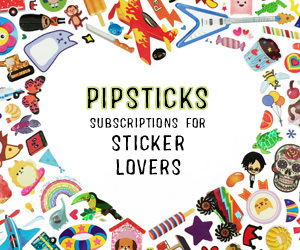 Sticker Junkies – Get Your Fix With This Awesome Crystal and Company Giveaway! The link in the printables section does not download this file.